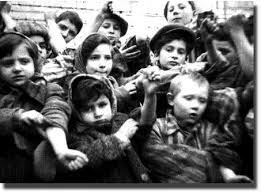 Children were especially vulnerable in the holocaust. 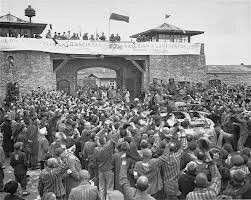 The Nazis said that the children of “unwanted” or “dangerous” groups in accordance with their ideological views, either as part of the “racial struggle” or as a measure of preventative security. The Germans and their nazis killed children both for these ideological reasons and in retaliation for real or alleged partisan attacks. 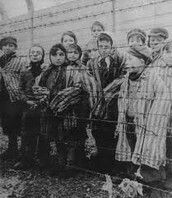 Children behind the barb wire fences. Children pushing and all crowded. 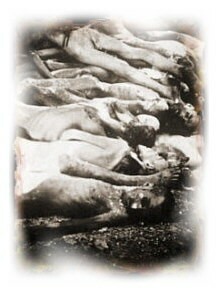 The German and their collaborators killed as many as 1.5 million children. Including a million Jewish children, thousands of gypsy children, and children with disabilities. The German government first introduced mandatory badges in Poland in November 1939. 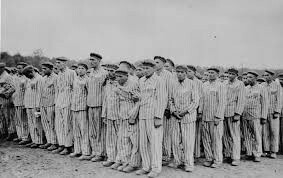 The German government's policy of forcing Jews to wear badges, and then confining all who wore them to ghettos, was a tactic aimed at isolating the Jews from the rest of the population. 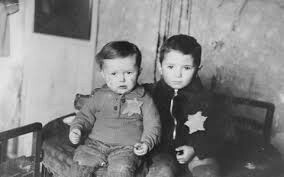 Jewish children wearing a yellow badge. 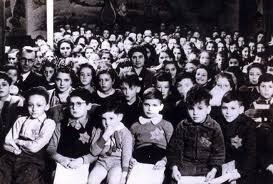 The yellow badge the Jews had to wear. 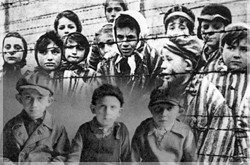 All of the Jewish children wearing the badge. The children died more than the adults caused by starvation, lack of clothing, lack of food and water. They died faster because they weren't as developed as the adults. 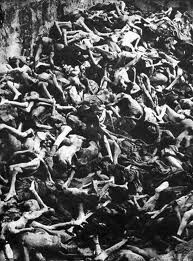 The holocaust started in 1938 and ended in 1945, during world war ll. 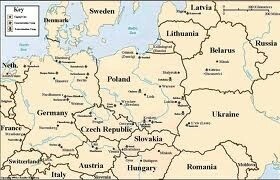 Map of we're the holocaust occurred. Some children lied about their age so they wouldn't be killed. And some are still living today. The holocaust happened because the German hated the Jews so much. The German thought they were better than the Jews. The nazis and Jews were the main ones involved in the holocaust.